How stem cell transplant cure cancer? How stem cell transplant cures Cancer? Stem cell transplant, commonly called Bone marrow transplant is a treatment for some types of cancer. It is an effective treatment for leukemia and lymphoma. Some blood diseases are also treated with the stem cell transplant treatment. If a person need stem cell transplant that means he received bone marrow transplant as the stem cells are picked from bone marrow. The level of blood cells develop at a faster rate. It is considered for the effectively destroying the cells of cancer. While chemotherapy and radiation therapy kills the cancerous cells, they still come with some side effects like they can permanently damage the bone marrow where the blood cells are made. This treatment fills the body with healthy cells and bone marrow when all the therapies are completed. After the successful transplantation process, the bone marrow will again start producing the new and healthy blood cells. What are bone marrow transplants? Bone marrow is a soft material that makes and fills the bones. It is a way of performing chemotherapy, sometimes the whole body radiotherapy. It cures some types of blood cancer. It contains blood cells called stem cells. It is extremely essential for blood cells. The cells in bone marrow are called hematopoietic that can bifurcate into several other types of cells. They can convert into bone marrow cells or blood cells. Autologous transplant: This is a rescue technique that uses the person’s own stem cells for the treatment. They are collected early and then used for later purpose.It is helpful in replacing the stem cells that have been damaged in chemotherapy. Allogeneic transplant: This is a technique in which the stem cells are collected from a matching donor, and transplanted to the patient so as to suppress the disease and get a hold on the patient’s immune system. How are bone marrow collected? First your bone marrow is matched with the donor’s and the surface of blood cells are analyzed for certain proteins. The proteins are called HLA markers. The result of HLA markers of you and your donor tells that how good you are each other’s match. If your blood cells do not match, you may still undergo transplantation, but there are chances that you may get some reaction afterwards. The harvested blood cells will be infused into your body through an IV tube. It is a painless process. 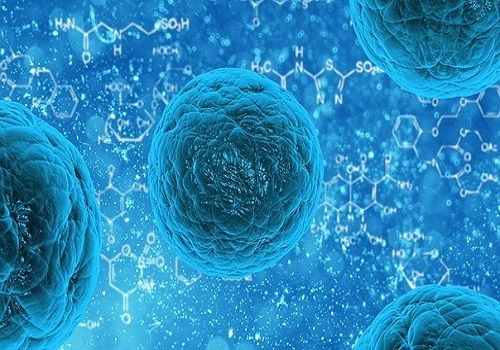 The stem cells then naturally get transported into the bone marrow and after few weeks, the restored bone marrow start producing the blood cells. There are some essential precautions given by the doctor to the patient like the diet to follow, or things to avoid. Complete recovery still require few months. Other tests are also conducted in the meantime. When the body undergoes chemotherapy or radiation therapy, there might be the risks of infections, as the bone marrow get destroyed by them. The body at that time is vulnerable of common cold, flu or other infections. It takes some time before blood count to get back to normal. Some people who get stem cells treatment develop graft-versus-host disease, the blood cells that are produced by the new bone marrow. Bone marrow treatment is one of the effective treatments for the treatment of Cancer. Do you know some hypertension medications? Do you know the 3 Different kinds of Tumors?